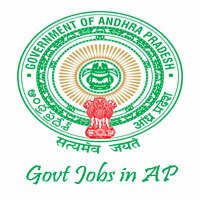 Administrative Control of Endowments Dept, AP Endowments Department has given an employment notification for the recruitment of 102 Veda Parayanadarulu, Bajantrilu, Dharmika Staff & Adhyapakulu (For Vedic School) vacancies in major temples in Andhra Pradesh. Eligible candidates can apply in prescribed application format on or before 30-06-2016. Other details like age limit, educational qualification & how to apply are given below. Age Limit: Candidate age should be between 18 – 38 years as on 01-06-2016. Educational Qualification: Candidates can refer notification. Eligible candidates can send their application in prescribed format to Commissioner, Endowments Dept, Tilak Road, Bhogulakunta, Hyderabad- 500001 on or before 30-06-2016.